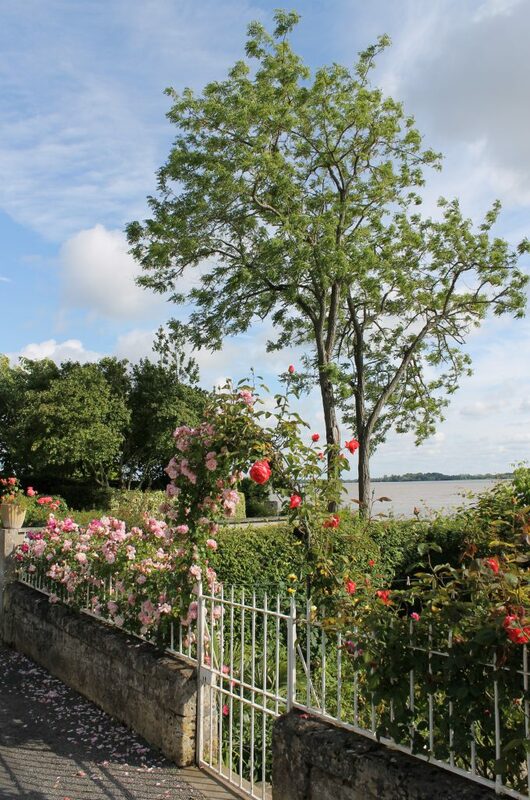 The corniche road wending its way along the Gironde can be reached shortly after leaving Blaye, heading towards Plassac. It offers an impressive panorama of the estuary. Nestled between sheer cliffs on one side and the river on the other, the road is unforgettably picturesque. So much so, in fact, that it is hard to take everything in as you drive. You will be delighted with the beautiful scenery, the charming houses, and the explosion of colours as soon as you go on the corniche. The Bec d’Ambes, where the Garonne meets the Dordogne, and the islands are on one side. There are numerous information panels and lovely vantage points along the way. The road goes past rolling countryside, as well as beautiful hamlets and houses, each more attractive than the last. It seems impossible to choose the most appealing part of the road since it offers such a wide diversity of sights such as carrelets, or fishing huts on stilts, as well as fishermen’s houses and troglodyte dwellings dating from the 15th and 17th centuries on the cliff face. Panels at every turn encourage visitors to discover châteaux and vineyards. The transition between the Côtes de Blaye and the Côtes de Bourg takes place naturally and imperceptibly. The road drops all of a sudden, making me pay full attention to my driving. As I come closer to the river, I see hiking trails and mountain bike tracks enabling the most energetic and motivated to climb up the cliff. Going along the corniche by bike gives an even better view because automobile drivers have to be much more attentive to the road’s twists and turns. Fortunately, the vantage points are in lay-bys where it is easy to park and admire the view. I stop at the one opposite the Bec d’Ambes, near Château Tayac, featuring a wonderful panorama of the estuary. An orientation table helps me to get my bearings and learn about local history. Behind me, vines stretch as far as the eye can see. There are also stone towers within sight, vestiges of the medieval period. I go back on the corniche and the estuary is soon hidden by small gardens at the bottom of the cliff. Oleanders, palm trees, and banana trees thrive here, giving a unique cachet to nearby houses. My attention is attracted by strange silhouettes I can see through the leaves. Metal creatures seem to be romping in the middle of a small meadow! They also appear to have something to do with the driftwood sculptures I saw near the riverbank. The mystery is soon solved. An inhabitant of Roque de Thau explains that these are all part of the Les Revenants (or The Ghosts) exhibition displaying the works of 12 artists in 11 communes in the Gironde department. This excellent initiative goes along beautifully with the location’s intrinsic magic. This enchanting moment lasts a few minutes, before the road goes inland to open once again onto vineyards and attractive old buildings. Arriving in Bourg-sur-Gironde brings me once again closer to the estuary. This ancient village shares something in common with Blaye: built on a rocky outcrop, both are historic towns with impressive vantage points. You probably need to be in good shape to walk around Bourg because there are over 500 steps leading from the upper part of town to the lower part. Strolling through the medieval streets, I come across a few anachronisms. 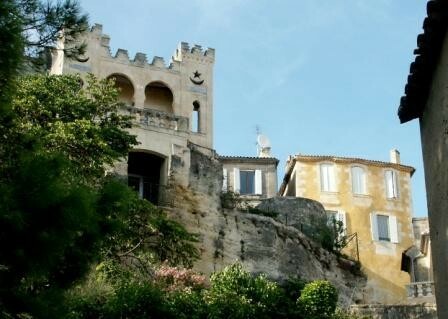 Visible from the port, a surprising Villa Mauresque, or Moorish Villa, built by a former colonial administrator, is located on the banks of the Dordogne. A bit further along, the Frisco, an Italian ship sunk by the Germans in 1944, sticks out of the water even at high tide. It is seen locally as a sort of Loch Ness monster… Reaching the bottom of the stone stairs from the Château de la Citadelle, I end up in a pleasant waterside park with a pond and a small island, ideal for a picnic before going back on the road. Léger détour pour relier les différents villages du coin, la route de la Corniche offre un panorama époustouflant sur l’Estuaire de la Gironde et les différentes architectures. La seule difficulté réside dans la difficulté à concilier observation du paysage et conduite sur certaines portions. Néanmoins, rien ne nous empêche de rouler tranquillement pour profiter des nombreux charmes du paysage. As only a slight detour linking the region’s various villages, the corniche provides a breathtaking view of the Gironde estuary and the many different types architecture found there. The only challenge at certain points is to balance the pleasure of taking in the sights with driving carefully. However, if you go along at a slow pace, nothing should prevent you for enjoying the corniche’s numerous charms. For people who are not in a hurry, stopping at the vantage points and going along the hiking paths is probably the best way to appreciate the lay of the land and the beautiful houses. Stopping at attractive hamlets is an ideal way of breaking up the trip along the corniche. These also provide a nice contrast between the arid cliffs and sea of vines, as well as a deeper historical perspective.